Flattersound was a concert series hosted by ETET in the Flatterschafft in Basel, Switzerland. 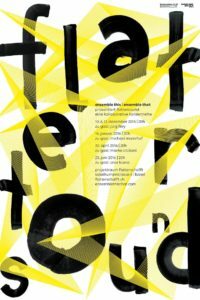 Flatterschafft began somewhere around 2012 and hosted perhaps the most adventurous program of artists, improvisers, local Swiss musicians, party events and a host of contemporary music events over the years. 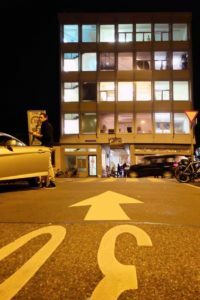 Unfortunately, the Projektraum, where these events took place, has closed its doors to such events, but the building remains full of creative artists and musicians. The series presented the results of 4 collaborations with composers from Switzerland, Germany, and Austria whose music had played an integral role to the development of the quartet. 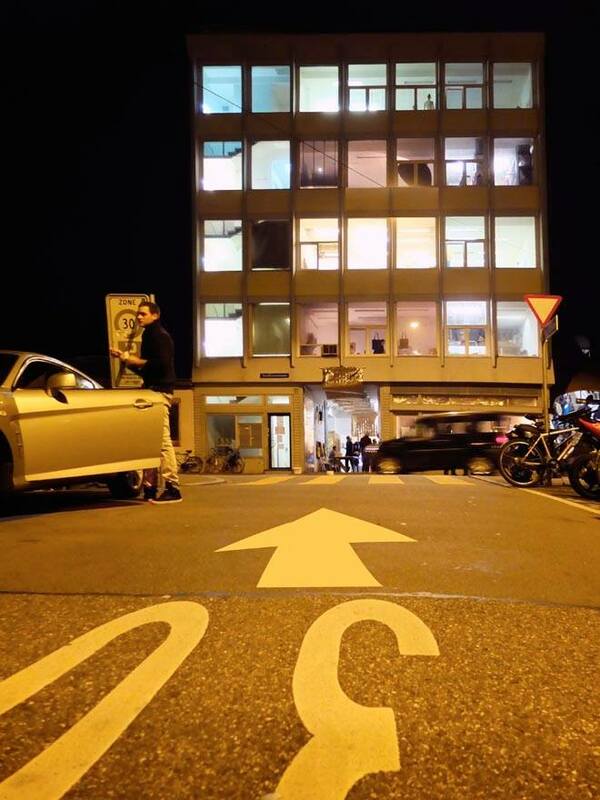 The “off-space” atmosphere of the Projektraum provided nice conditions to realise many of the quartets aspirations. Each event featured and afterparty and free alcohol (for those of drinking age). The programs consisted of works which were part of the quartets repertoire but each composer composed a new piece just for the occasion and provided their own contribution to the concerts. 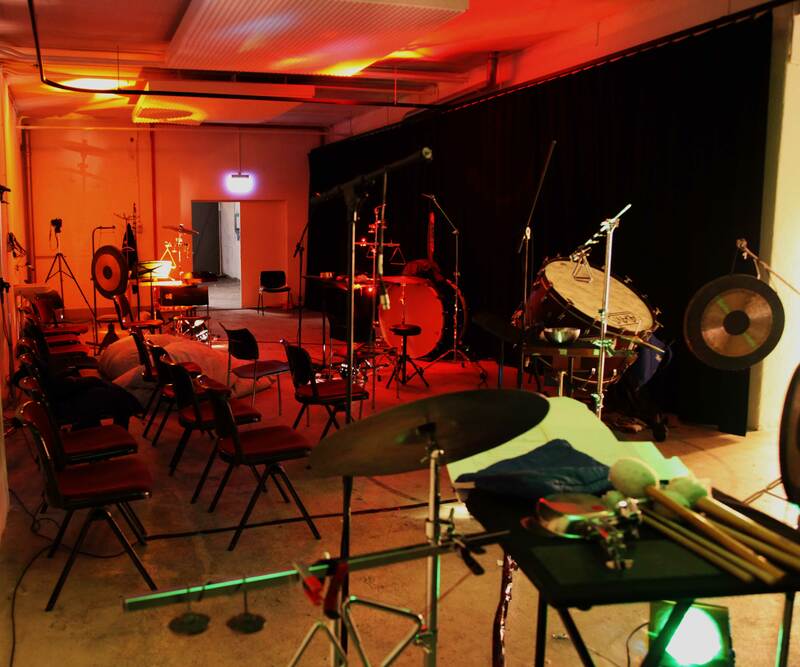 In the first years of ET|ET’s musical experiences together, they focused on the music of Jürg Frey and played his 72 minute percussion quartet in Switzerland an Israel a hand full of times. The first concert in this series was dedicated to the piece and the resulting inspiration and experience the quartet found in the process of bring it to life. 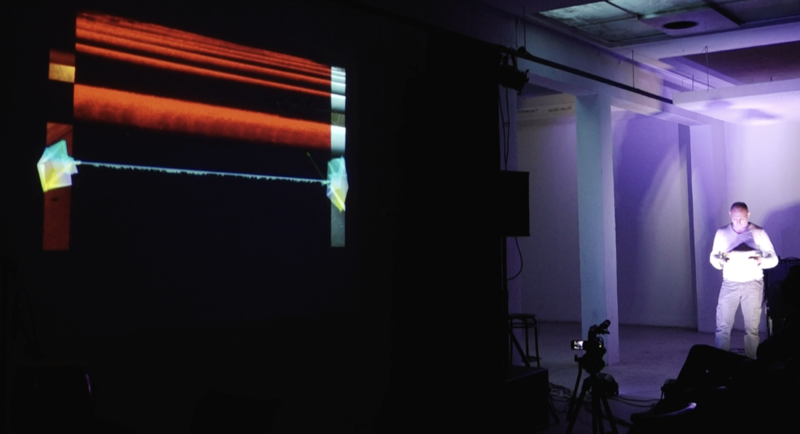 Jürg also presented 2 new installations he had previously presented at the Huddersfield festival of contemporary music in Huddersfield, England. On this concert ETET took the opportunity to engage the audience with some of Maierhof’s compositional Ideas. In the intermission break, ETET provided small homemade instruments for the audience to play with. 4 different strengths of sandpaper were taped in a specific geometric pattern to create musical ideas from his pieces “shopping 4” and “splitting 24”. For this concert, we began in the foyer of the Flatterschafft with an interactive piece from Marko, Homo Ludens. The “dancer” or in this case an audience member, was invited to play a “game” using audio cues from the quartet to avoid being hit by a flying object on an analog television. Through video tracking via the use of an Xbox Knekt the dancer could move through different levels of difficult with the aid of sonic help from the ensemble. Marko also write a new piece for the quartet, Audiodromo, which also used a kind of game or team approach to constructing a composition. In teams of 2, the percussionists attempt to hit certain objects on screen using only their movements and sound – all tracked by microphones and webcams.